"Unfortunately, this singlet has been discontinued. " 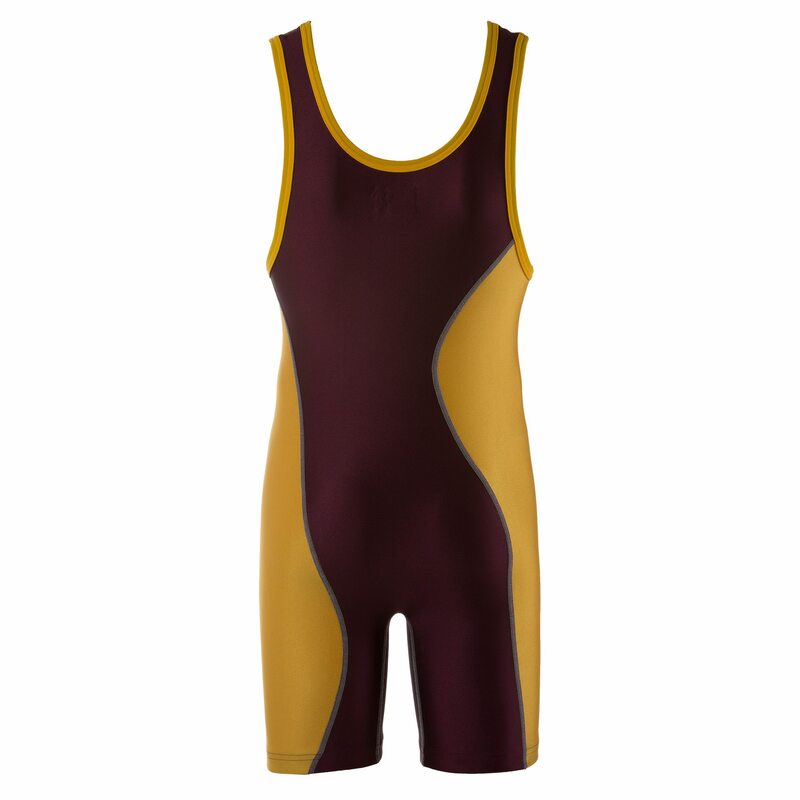 Matman’s 330 Legacy wrestling singlet is for teams or individual wrestlers who want to add a little ‘funk’ to their competition uniform. 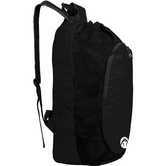 The first thing you’ll probably notice is the asymmetrical pattern of the side panel color blocks. Nope, this wasn’t a mistake in the sewing department, we checked. This off-balance look gives the Legacy Singlet a bit of style and personality that you don’t normally see in stock singlets. That makes this a great choice if you want the unique look of a custom singlet, but don’t want to break the bank. 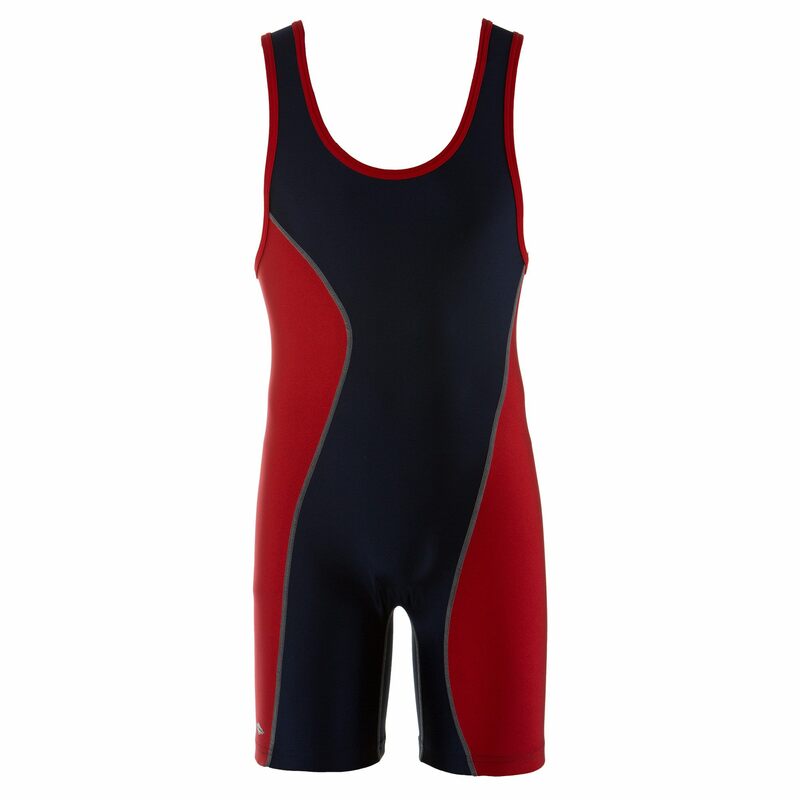 Most of Matman’s stock singlets, including this one, are geared toward teams. The 330 Legacy has six different color options to choose from to match your school or club colors! If you don’t see the color scheme you want here, you can always upgrade to a custom version of this and mix and match any of Matman’s fabric colors. Matman has two fabric weights (thickness) – 85 is considered standard, and 95 is a very thick and heavy fabric. 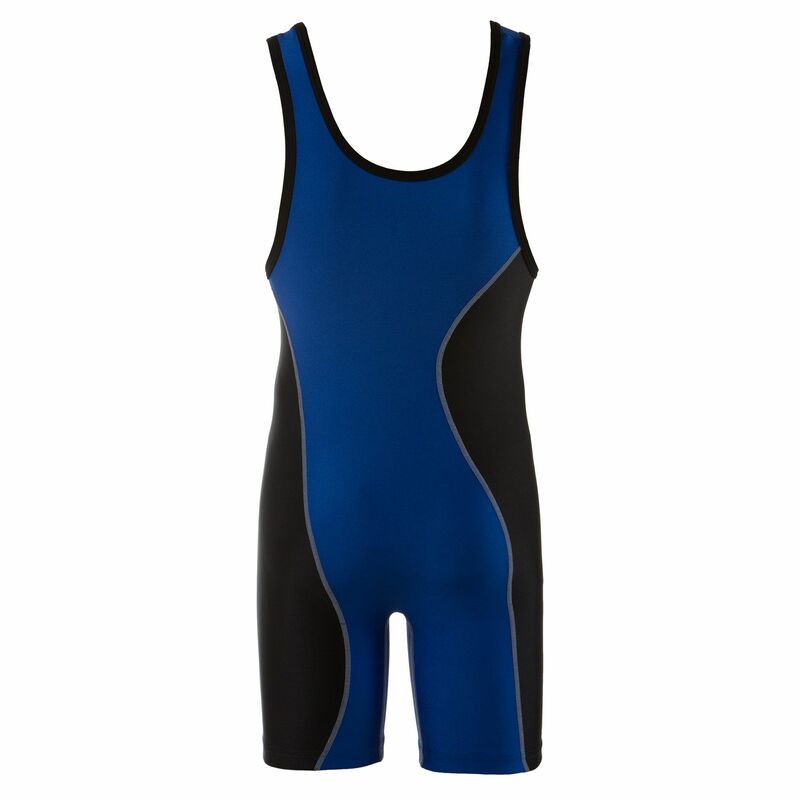 This singlet is the 85 standard weight and is made up of a blend of 80% Nylon and 20% Lycra. The Legacy is a traditional men’s high-cut singlet, and made to be form fitting for nearly any body type. You can refer to the size chart below if you aren’t sure how it might fit you. The comfortable fit and moisture-wicking properties of this singlet will keep you feeling good on the mat and ready to take on the next challenge! If you have questions regarding team sales please give us a call. 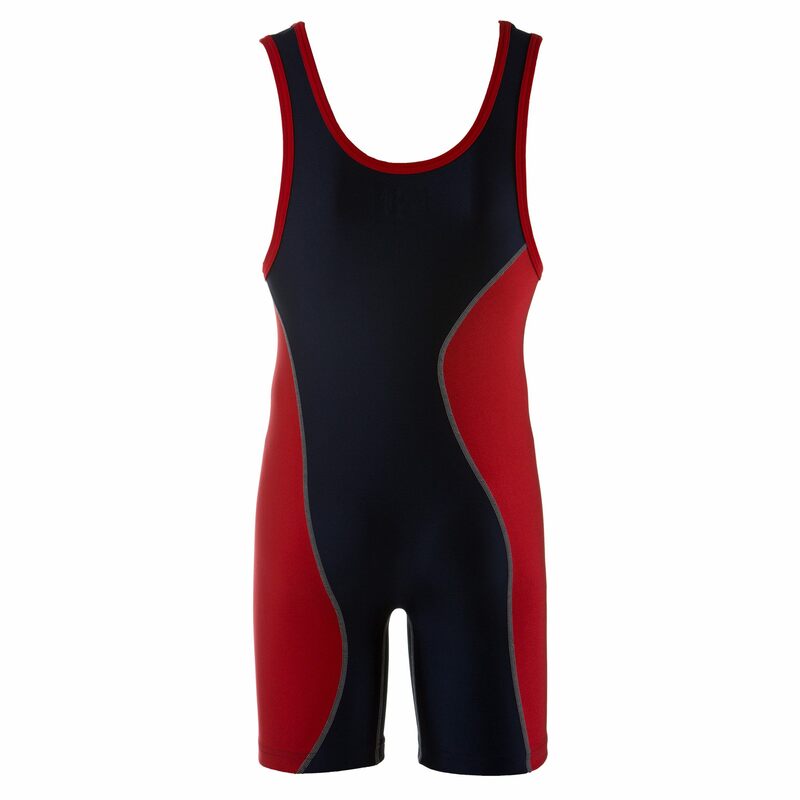 If you are just needing the singlets without any design the singlets can be there in about a week or so. If you are needing to design on the singlets, turn around time is 3-4 weeks. My son weighs 45 lbs. 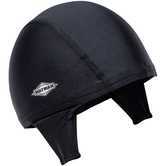 What size does this correlate to? He would be a 4XS. 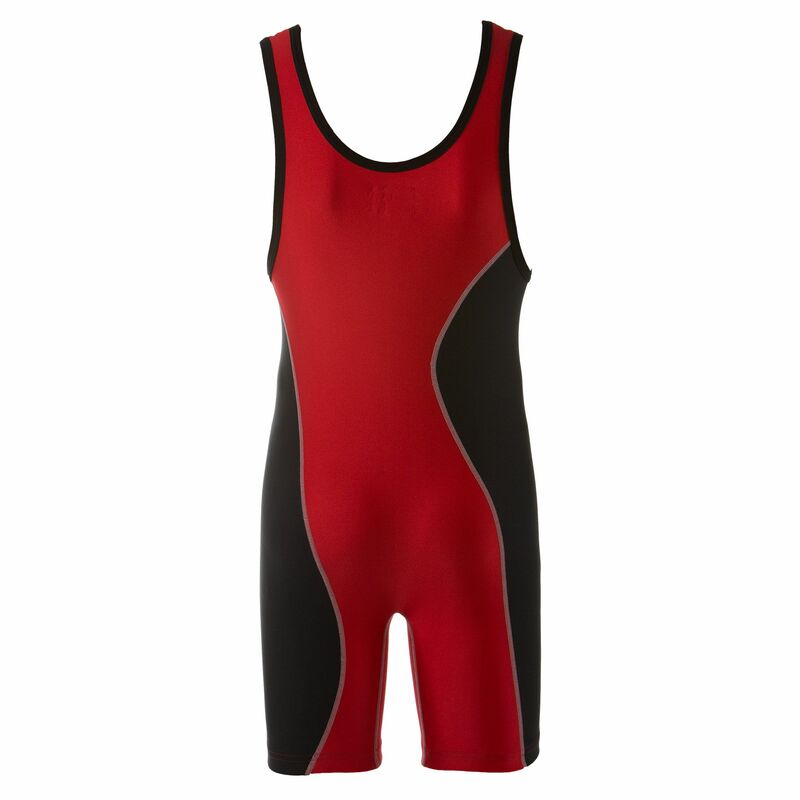 hi team i see that you order the "matman 330 legacy singlet" by weight. how does this effect the length of them. eg i am 6' and 265lbs so i would need to xxxl but am worried they would be too long. I believe you should be good with the 3XL. I have checked the catalog and the inseam for both 2XL and 3XL is 8 3/4". They are both the same length. 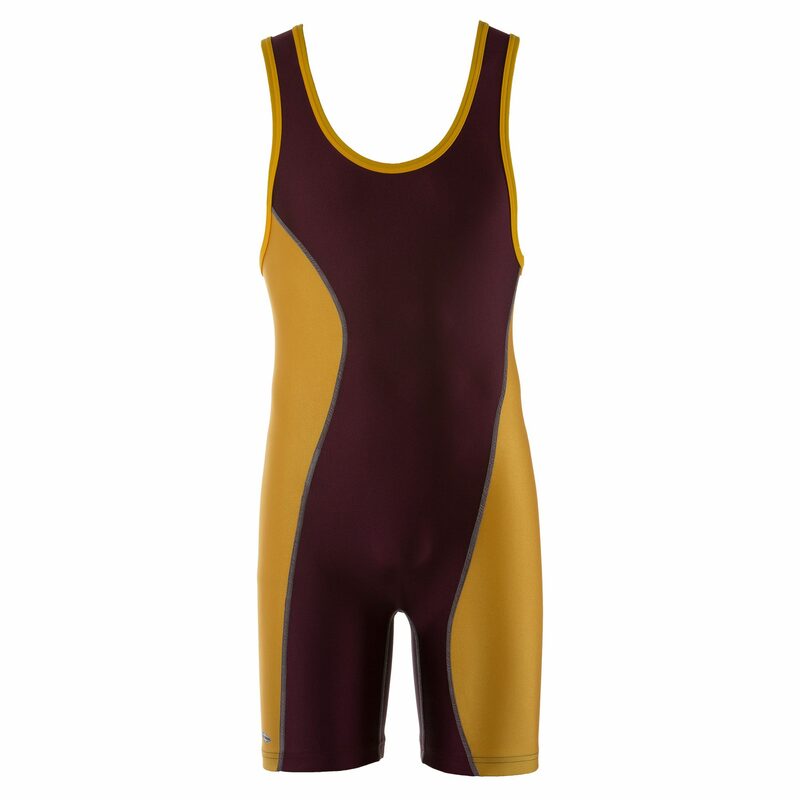 Our school wrestling team is interested in purchasing 20+ MatMan Legacy 330 singlets in Marron/Gold. 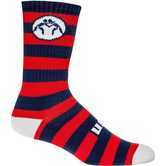 Would we be able to customize them with the school logo on the front and the members names on the back? I believe you can screen print on these singlets but the print will not hold up as well as if were to be as sublimated singlet. If you have any further questions regarding team pricing and singlets feel free to call our team reps at 888-887-8893.